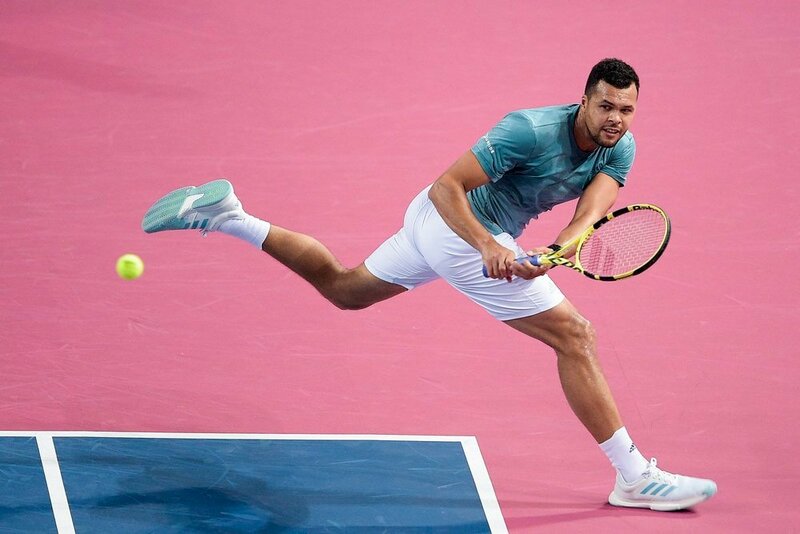 Jo-Wilfried Tsonga beat Radu Albot 6-1 6-3 in 69 minutes to set an all-French final against Pierre Hugues Herbert at the Open Sud de France in Montpellier. Herbert beat Tomas Berdych 6-2 7-5 in the other semifinal. Tsonga dropped four points on serve in the first set and got the early break lead in the second game, when Albot sent his forehand long. Tsonga got another break at 15 in the sixth game to build up a 5-1 lead and closed out the opening set 6-1 with a hold at love after 26 minutes. Albot got his only break in the second game of the second set to take a 2-0 lead, but Tsonga reeled off five consecutive points in the next game to break straight back. Tsonga earned another break in the fifth game when Albot netted his volley and hit a forehand to win his fourth straight game for 4-2. The Frenchman sealed the win with another break at 5-3 on his first match point. “It was a good match from my side. I played good tennis and I was aggressive. I hope I will be able to play the same tennis tomorow in the final. I am already happy with what I did this week and I will give my best tomorrow”, said Tsonga. Tsonga will face Pierre Hugues Herbert, who beat this year’s Doha finalist Tomas Berdych 6-2 7-5 after 1 hour and 33 minutes to reach his third ATP singles final. Berdych was tired after playing for almost three hours against Filip Krajinovic in a hard-fought match, where he had to save three match points. Herbert dropped just 17 points in ten service games, saved all three break points and broke serve three times. Herbert got an immediate break with a smash error from Berdych and built up a 3-0 lead, when Berdych sent a forehand long in the third game. Herbert served well and sealed the first set with a service winner in the eighth game. Berdych earned three break points in the second set, but Herbert fended them off with a backhand winner. 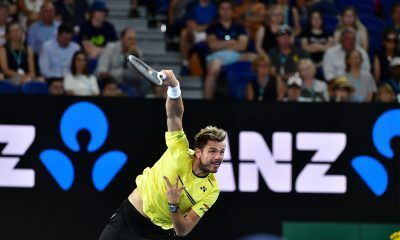 The 2019 Australian Open doubles champion held his service game with a backhand winner before breaking serve in the 11th game when Berdych made a double fault. Herbert closed out the match with an ace to secure the spot in his third ATP final. 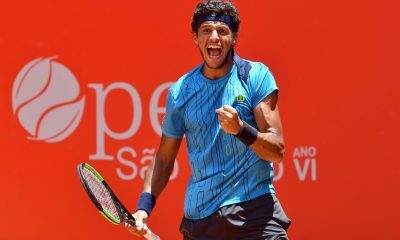 Herbert is bidding to win his first ATP singles title after finishing runner-up to Kevin Anderson at Winston Salem in 2015 and in Shenzhen 2018 to Yoshihito Nishioka. “I am really happy about my match today. It was a tough battle against Tomas and I am really happy to come off the court as the winner in front of my home crowd. Being in a final in France means a lot to me”,said Herbert. 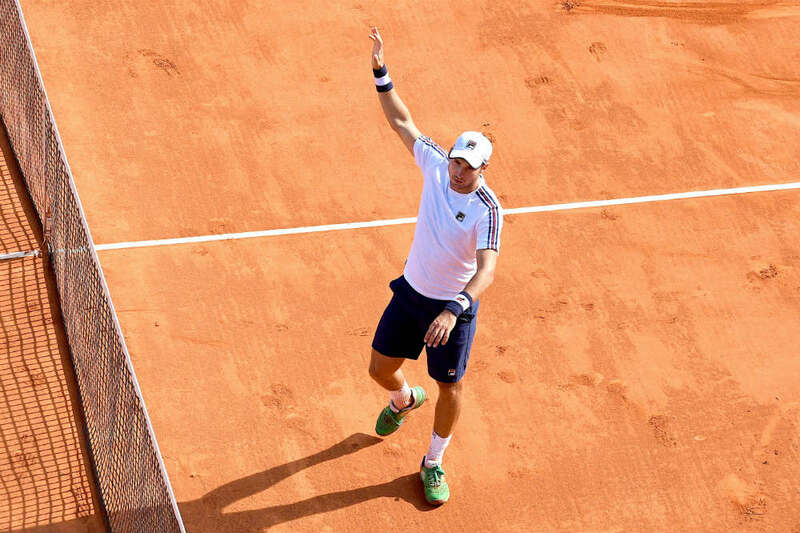 Serbia’s Dusan Lajovic came back from 1-5 down in the first set to beat number 10 seed Danil Medvedev 7-5 6-1 after 1 hour and 35 minutes reaching his first final in a Masters 1000 tournament at the Monte-Carlo Rolex Masters. Lajovic converted 6 of the 12 break points and won 12 of the final 13 games. Medvedev, who beat Novak Djokovic in the quarter final, went up a double break in the second and sixth games to race out to a 5-1 lead. Lajovic fought back by breaking serve three times in the seventh, ninth and eleventh games to clinch the first set 7-5 on his third set point. Lajovic started the second set with a double break to race out to a 4-0 lead. Medvedev saved two break points in the fifth game to hold his first service game in the second set for 1-4 ending a losing streak of ten consecutive games, but Lajovic converted his second match point on his return in the seventh game to claim the second set 6-1 after Medvedev fired a backhand beyond the baseline. “I was completely out of rhythm at the start. It was the worst nightmare, being 5-1 down. It was impossible for us to play real tennis. I started moving the ball. Before I had been waiting to see where it was going, this was the turning point. I am still unaware of reaching the final, but I am enjoying it. I am looking to playing the final. No matter whom I play I will be the total underdog”,said Lajovic. World number 48 Lajovic is the lowest-ranked player to reach the final in Monte-Carlo since Hicham Arazi in 2001. The Belgrade player beat Malek Jaziri, David Goffin, this year’s Indian Wells champion Dominic Thiem, Lorenzo Sonego and Danil Medvedev en route to the final without dropping a set. With his win over Thiem the Serbian player scored his first top 5 win of his career. Before Monte-Carlo Lajovic had achieved a Masters 1000 quarter final in Madrid last year, another quarter final in the ATP 500 in Beijing and the semifinal at the ATP 250 in Lyon. 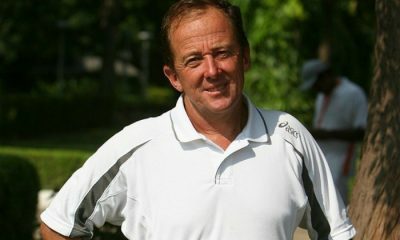 He had scored only 14 match wins at Masters 1000 level before this week. He lost to Alexander Zverev in five sets in the second round at Roland Garros last year after leading by two sets to one. Lajovic is now coached by José Perlas, who previously trained Fabio Fognini. Lajovic will face either 11-time Monte-Carlo champion Rafael Nadal or Fabio Fognini. Nadal beat Lajovic in their previous two head-to-head matches at Roland Garros 2014 in the Round of 16 (6-1 6-2 6-1) and at the US Open 2017 in the first round (7-6 6-2 6-2). His best result at Grand Slam level is the fourth round of the 2014 French Open. That year he broke the top 100 for the first time in his career. Lajovic is only the second player to reach his first Masters 1000 final since 2013 after his compatriot Filip Krajnovic achieved this feat in paris Bercy in 2017. After Monte-Carlo Lajovic will break the top 25 for the first time in his career. Italian star Fabio Fognini came back from losing the opening set to beat Croatia’s Borna Coric 1-6 6-3 6-2 after 1 hour and 59 minutes. Fognini reached the semifinal at the Monte-Carlo for the second time in his career. Fognini sets up a semifinal against Rafael Nadal. Fognini converted on four of his six break points and dropped his serve three times. Coric broke serve at love in the second game when Fognini netted a backhand and earned another break to open up a 4-1 lead after a volley error from Fognini. Coric served out the first set with a hold after 27 minutes. The Croatian player went up a set and a break to build up a 6-1 2-0 lead at the start of the second set when Fognini netted a forehand. Fognini received a medical time-out to treat his right elbow. Fognini broke back in the fourth game to draw level to 2-2, after Coric made a double fault and two forehand errors. The Italian star converted his second break point chance in the eighth game for 5-3, when Coric sent a backhand long. Fognini served out with a service winner on his first set point in the next game. Fognini went up an early break to take a 2-0 lead. The Italian got the double break to open up a 4-1 lead. The 2013 Monte-Carlo semifinalist saved three break points before sealing the win with a good serve at deuce for 6-2. Fognini beat Coric for the second time in his career five years after his win in Umag. In his opening match earlier this week Fognini came back from 4-6 1-4 down to battle past Andrey Rublev in three sets before beating world number 3 Alexander Zverev and world nunber 13 Borna Coric to advance to his second semifinal in Monte-Carlo and his third Masters 1000 semifinal at Masters 1000 level and the first since Miami 2017. 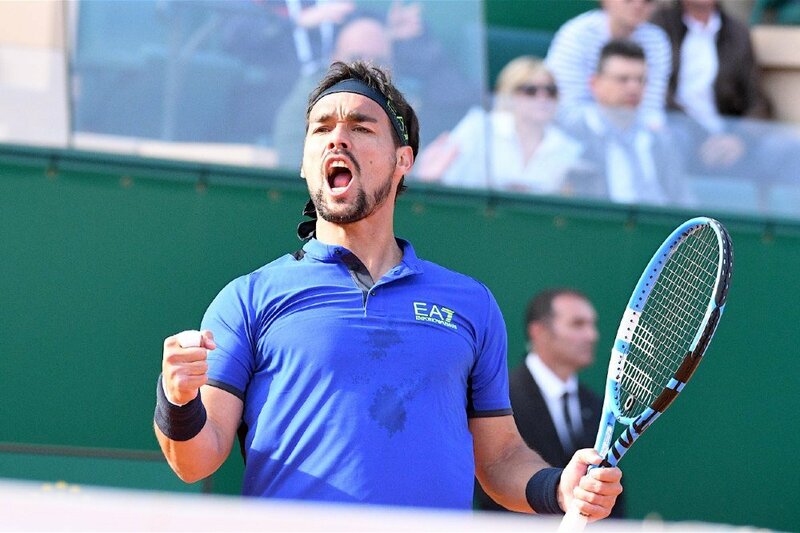 Fognini entered the Monte-Carlo tournament on a five-match losing streak on clay. Fognini set up a semifinal against 11-time Monte-Carlo champion Rafael Nadal. The Italian won three of his 14 head-to-head matches against Nadal in 2015. “I did not believe that I could reach the semifinal after being on the verge of defeat against Rublev in the first round. I hope to receive a strong support from the crowd. I feel that it’s my home tournament. I am happy for my family, who came this week to suport me. I have nothing to lose against Rafa. Everywhere it’s difficult against him. I will just try to enjoy the match, try to recover as best as I can, eat well, sleep well, play with my son Federico a little bit before sleep and tomorrow is another day. I will try to do my best game. I know that it’s difficult, but I have the game to play against him. I saw that he did not play very well, but tomorrow is another day”, said Fognini. 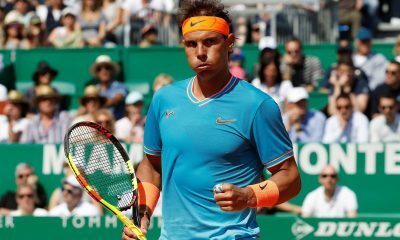 Eleven-time champion Rafael Nadal had to dig deep in his hard-fought 7-6 (7-1) 6-3 win over Argentina’s Guido Pella in the quarter final of the Monte-Carlo Rolex Masters on the Court Rainier III to reach his 14th semifinal in Monte-Carlo in the last 15 years. Nadal is just within two wins of his record 12th title in Monte-Carlo. Nadal has reached the 69th Masters 1000 semifinal of his career. Nadal was one point away from 1-5 down three times in the opening set, but he had to work hard to win the tie-break. The Spanish “King of Clay” converted 7 of his 13 break point chances to seal the win after 2 hours and 20 minutes. The opening set started with three consecutive breaks. Pella broke three times in a row to race out to a 4-1 lead. Nadal pulled both breaks back in the sixth and eighth games to draw level to 4-4 after 50 minutes. Pella got another break in the 11th game to take a 6-5 lead, but Nadal broke straight back to draw level to 6-6 sending the first set to the tie-break. Nadal got a double mini-break to open up a 3-0 lead and dropped just one point to seal the tie-break 7-1 with a smash winner. Nadal fended off four of the five break points he faced and broke three times in the second set. Nadal went up an early break in the opening game and consolidated it to open up a 2-0 lead. Pella saved two break points in the third game to hold his serve in the third game. Nadal saved four break points in a 13-minute fourth game to hold his serve at deuce before breaking serve at 30 to build up a 4-1 lead. The Spaniard held his serve at 30 for 5-1 with his forehand. Pella pulled one break back in the eighth game to clase the gap to 3-5. Nadal closed out the second set 6-3 with his third break in the ninth game. “It was a very tough first set physically and mentally. Losing the first three games with my serve was tough, but I found a a way at the right time. I was lucky at 4-1. He had to points to be 5-1. It is almost impossible at 5-1. I was lucky to escape that moment and then I played better. I am very happy to be through. Being in the semifinals means a lot to me”,said Nadal. 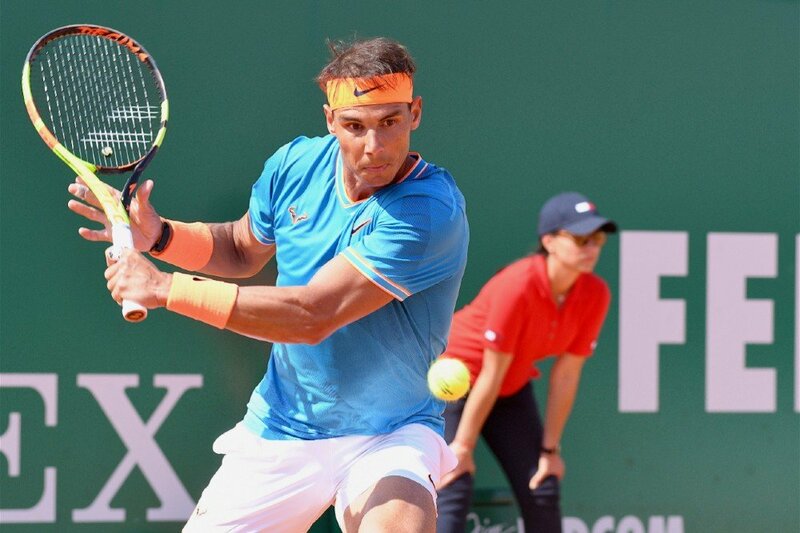 Nadal has improved his record to 25 consecutive sets in Monte-Carlo since losing the second set of his opening match against Kyle Edmund in the 2017 edition of this tournament. 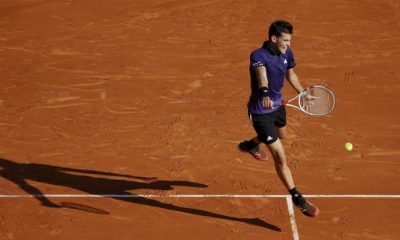 Pella, who entered this match with 17 wins in 2019, has become the first player since Edmund to earn more than four sets in a single set against Nadal in Monte-Carlo.